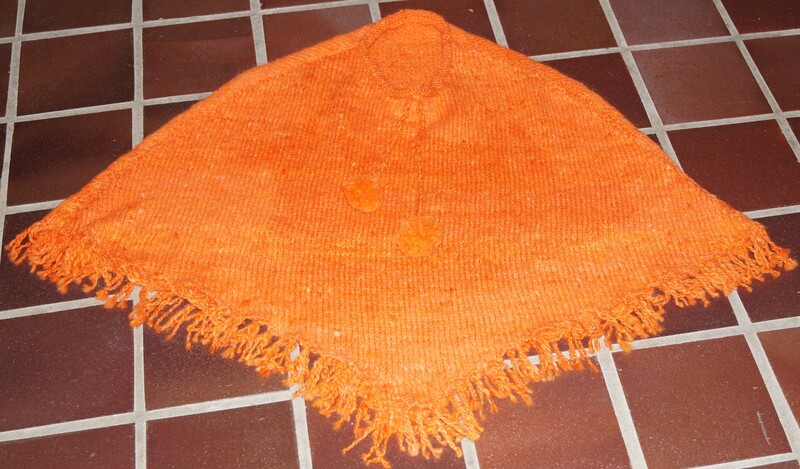 Bev decided that she wanted to handknit a poncho for her young granddaughter’s birthday. The pattern was inspired by a gorgeous child’s poncho that Lyn had knitted and brought in to show us. 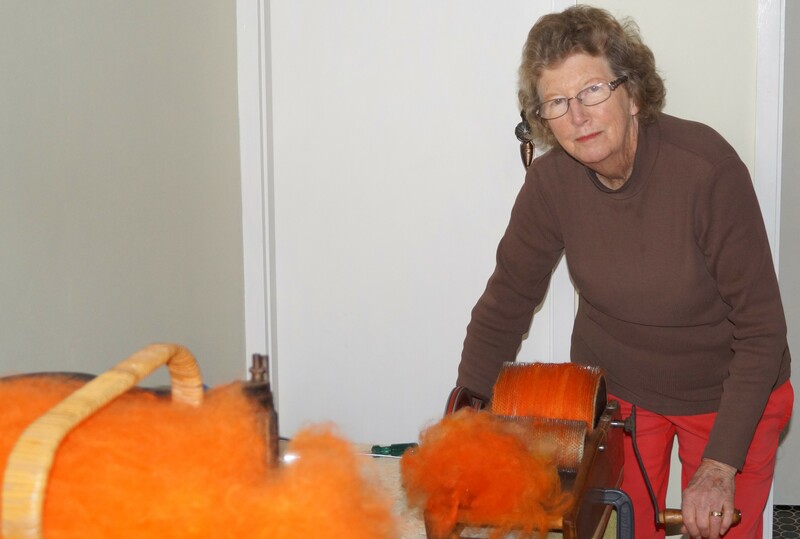 A lot of fibre would be needed, and it would have to be bright, so Bev had a mammoth dyeing day and ended up with an extremely large amount of bright orange fibre that was about 70% alpaca and 30% wool. 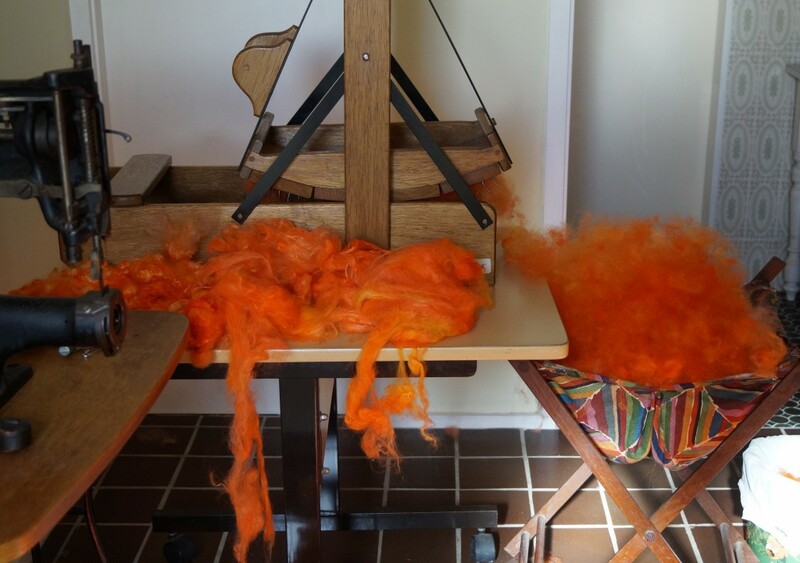 Next, to put it all through the picker to mix the fibres evenly. After going through the picker, the next job was to card all the fibre into batts ready for spinning into a mountain of yarn for the knitting phase of the project. And voila! A beautiful poncho all tassled up and with pom-poms to boot. Of course her granddaughter loved it!